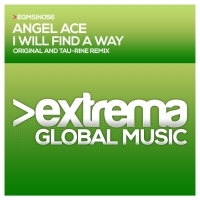 Angel Ace is one of the most prolific trance producer & dj of Spain. He started his career about 15 years ago signing his best tracks in some of the best labels around the world. His sounds have been supported by labels as Levare (Netherlands), Shah Music (Germany), Bonzai (Belgium), Only One Records (Spain), Digital Society (UK), Redux (Germany), Blue Soho (Turkey), Trance AllStars (Czech Republic) and many others. He has a great radioshow, Entrance Music Radioshow (Discover Trance). Also, he has played with top djs like Paul Van Dyk, Ferry Corsten, Aly & Fila, Airwave, Claudia Cazacu, Manuel Le Saux, Ferry Tayle, Jonas Steur, Jorn Van Deynhoven, Bryan Kearney, Arctic Moon, Simon O´Shine, RAM, and many others. Actually, Angel Ace is running Entrance Music label and Entrance parties in Spain with Victor Prada.